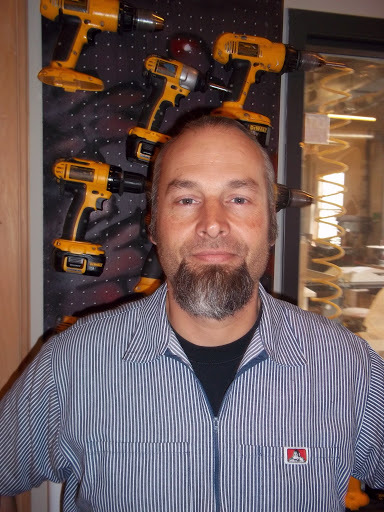 Born in California, Michael Sexton has studied painting, sculpture and carpentry across the country and has apprenticed with famed sculptor John Chamberlain in Sarasota, FL. 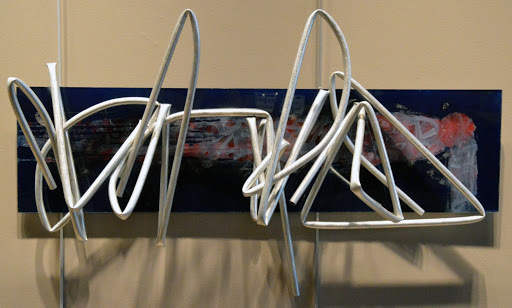 Sexton turns his strokes in paint into tangible forms with his sculptures. “To the layman, I describe my work as 3-D graffiti,” Sexton says. With such fluid lines and dynamic shapes, it is no wonder this is the phrase used to describe his work. “[My favorite pieces] are my transitional pieces, every thing learned and applied to the form,” he says. Sexton refers to nature as the ultimate example of form, and it shows, as he enjoys working on his art outdoors. 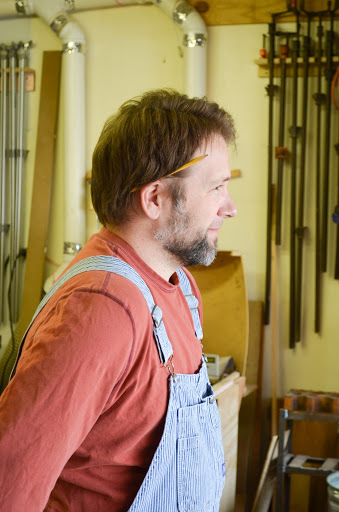 Enjoy the nice spring weather as you visit Sexton’s open-air studio and learn about his work. Meet & see the working studio of Sexton along with 9 other artists on April 20-21, noon until 5 pm on the Tulsa Art Studio Tour. For more info, or to purchase tickets, visit www.TulsaArtStudioTour.org. Starting as a student in graphic design, Richard Wills stumbled upon printmaking, and found an instant connection to design and its roots in printing. “Printmaking draws me in because I love the process of making the plates and printing the image,” Wills said. His love of the process allows for him to “unplug” from the ever-present demanding technology in our day-to-day lives. 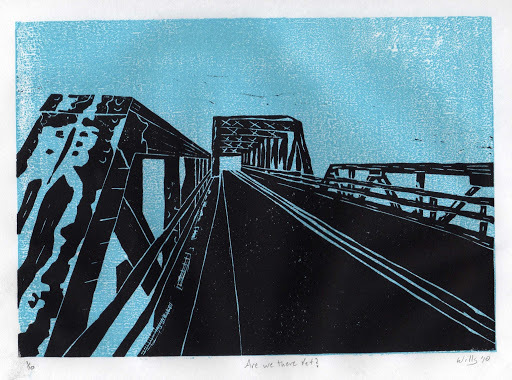 In his studio he prints by hand, and with this centuries old craft, he connects to previous generations in his art making. He also experiments with different techniques in printing, such as making a print with toothpicks. Meet & see the working studio of Wills along with 9 other artists on April 20-21, noon until 5 pm on the Tulsa Art Studio Tour. For more info, or to purchase tickets, visit www.TulsaArtStudioTour.org. A true Oklahoma native, Porter holds a BFA from Oklahoma State, an MA from the University of Tulsa, and has an extensive involvement in the Oklahoma art community, both as an artist and an art educator. 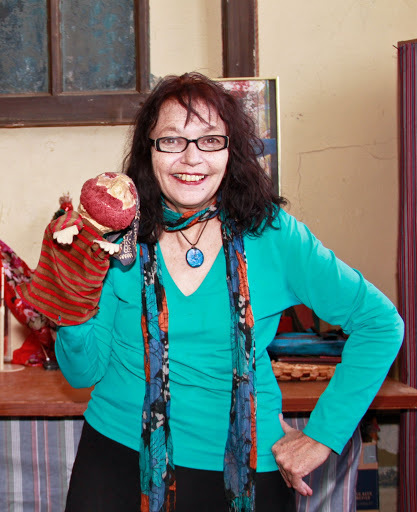 She has taught at the university level in Kansas, Wisconsin and Oklahoma, and continues to teach through several organizations, as well as her studio where she gives puppet making and printmaking workshops. 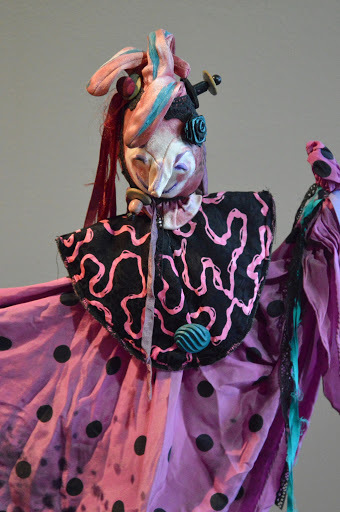 She creates works that integrate several materials and media, including puppets made with found objects or paintings on loose vinyl, but she didn’t start out this way. 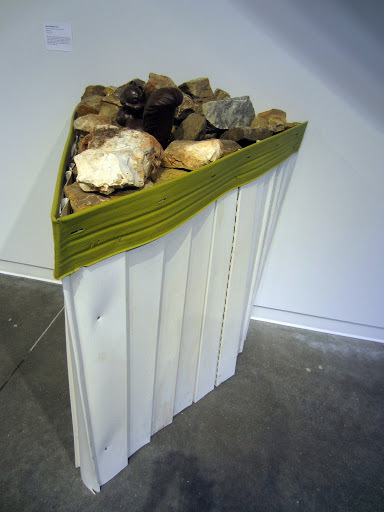 “When I was in undergraduate school the term “Mixed Media” had not reached the Midwestern art circles. Later on I was exposed to this art form and was encouraged by Tulsa artist and art director, Steve Ligget, to explore it’s possibilities,” says Porter. Her works, with their bold colors and complex characters, reflect her interests and curiosities, as well as her passions and her humor. The painting Meow-nah Lisa uses collage from the famous daVinci work combined with varying materials and loose impressionist brushwork to create a humorous image of a cat. “My work reveals my interest in faces, faith, figures, and felines. I also enjoy expressing my humor as well as my serious side in what what I create. ,” she said. Meet & see the working studio of Porter along with 9 other artists on April 20-21, noon until 5 pm on the Tulsa Art Studio Tour. For more info, or to purchase tickets, visit www.TulsaArtStudioTour.org. Growing up in her parent’s hobby shop, Kathy Wills’ mother sold dollhouse miniatures, exposing her at an early age to polymer clay crafts. 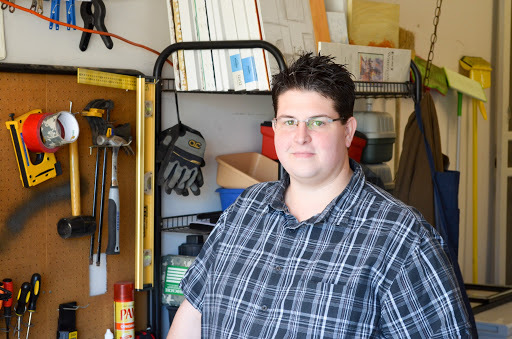 She could not find her knack creating miniature food or kitchen items, but she found her niche with jewelry making. “I love to use color and create bright, cheerful pieces,” she says, and indeed her work is full of vivid colors and bold shapes. However, her technique is anything but simple. 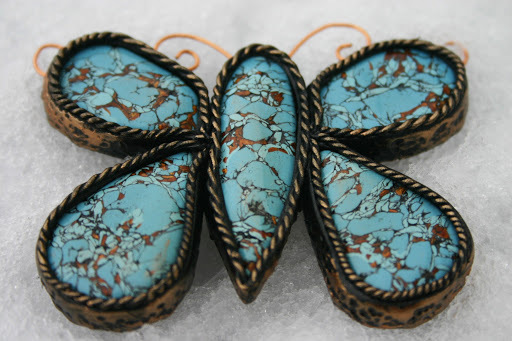 Wills uses complex processes to mimic natural materials, such as turquoise. 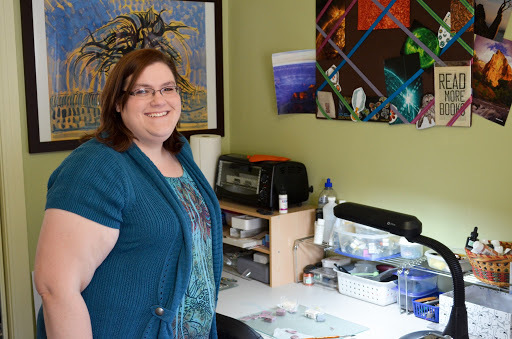 The realm of possibilities with polymer clay is endless and Kathy considers herself in a state of perpetual learning. His interest in craft and presentation, combined with his tendency towards functional objects, leads his sculptures to have a quality of play and interactivity. “I find a great deal of interest in playing and I encourage people to play with the “toys” I make”, he says. His wood-hewn masks evoke an eastern aesthetic, sometimes investigating Japanese mythology; while his sculptures seem to recall an era gone by, when toys were hand-built by artisans. He enjoys involving viewers through interaction, granting them a vehicle to create alongside him. “In a way it allows me to play with all the other kids,” says Storie. Meet & see the working studio of Storie along with 9 other artists on April 20-21, noon until 5 pm on the Tulsa Art Studio Tour. For more info, or to purchase tickets, visit www.TulsaArtStudioTour.org. 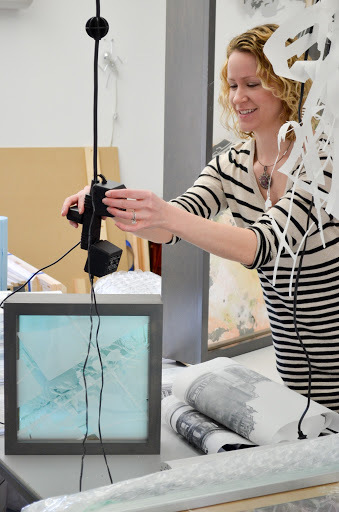 Tulsa Studio Tour Artist Nicole McMahan in her studio. Inspired by her carpenter father, Nicole McMahan uses installation art and furniture design to take her from the technology of design into raw creation. Her new work combines her interest in patterns with her connection to wood through bright colors. 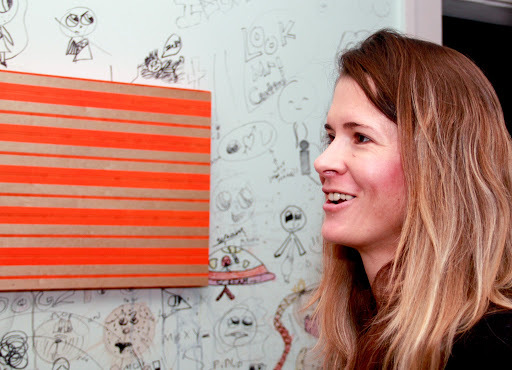 With her background in design, her primary work is in print media, but she explores and incorporates painting, furniture design and installation. 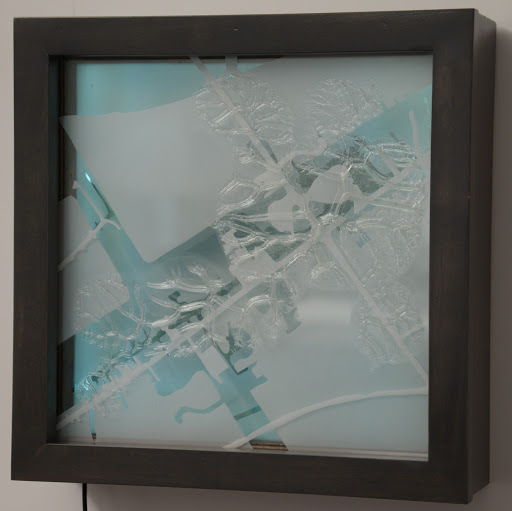 “The tangible outcomes of both design (printed piece on paper) and other media (installations, furniture, mixed media) give meaning to my work and tremendous satisfaction,” says McMahan. Her studio is decorated with a wall mural drawn by her own children, a must see for any visitor. Meet & see the working studio of McMahan along with 9 other artists on April 20-21, noon until 5 pm on the Tulsa Art Studio Tour. For more info, or to purchase tickets, visit www.TulsaArtStudioTour.org.